I have tried on at least two occasions to keep a “book log”, or reading journal, or really any sort of record of the books I have read in a year, but I always taper off after a few books / weeks. Since I enjoy blogging about books I have read, I think I’ll try my hand at a book log here, and I’ll update this post as I read more books. Also, it might serve as a quick way to know what books I would recommend, if you decided to ask me. Ideally I will link the below titles to their corresponding post on the blog. Of course, this means I have to blog about all, or almost all of the books I read, but that wouldn’t be a bad thing. 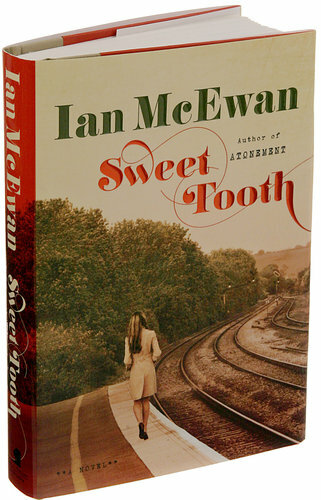 Sweet Tooth, Ian McEwan – Recommend. More of a character piece than a plot piece, but those might be my favorite. I really liked the heroine, Serena, and for McEwan fans, I would say this is nowhere near as dark as Atonement. Winter of the Worlds, Ken Follett – Recommend, but read Book One first. Because it is part of “The Century Trilogy”, the who/what major historical event / where is a bit contrived, but it’s worth it. It’s a wonderfully intricate character web, if you will. Grace: A Memoir, Grace Coddington – Indifferent on the reco. As I wrote in my post on this book – it was interesting, and I learned from it, but as far as memoirs go, it was lacking the and this made my life feel ____, or XYZ happened and I was never the same. It was more of a play-by-play than my favorite memoirs – but if you love fashion (check) and pretend to know things about photography (check), you should read it. It won’t take too long. Mr. Penumbra’s 24 Hour Book Store, Robin Sloan – Recommend Passively. Book club book that surprised me by its current-ness. More mentions of Google, Twitter, different generations of Macs than most fiction (that I read), but it was good storyline and a quick read. Perfect for a 3 hour flight. Apparently, the hardback cover glows, but I read it on my Kindle, so I had no idea! Also, a Book Club select, and it was a fiction book that teetered on non-fiction with the thoroughly researched dialogue. The most interesting part of the book – learning about the trip and obsession with Spain that inspired The Sun Also Rises. 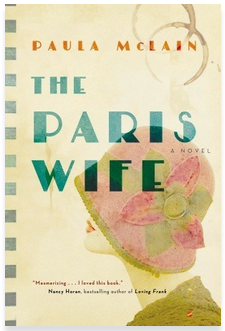 Mostly, The Paris Wife, made me want to read more Hemingway (not necessarily more Paula McClain). Salt Sugar Fat, Michael Moss – RECOMMEND! Salt Sugar Fat is a fascinating nonfiction book I have forced onto almost everyone I know… but the book tells the story of the evolution of the packaged food industry. Written by a former investigative reporter, you can count on lots of facts, substantiation, details… definitely worth reading. Finished! Finally! I won’t say anything until the TV season wraps – but you should read it. In order. I know I normally just post the cover of the book, but I found this picture of George RR and thought it was worth posting. He’s so Gandolf/Dumbledore/Peter Jackson-esque, I had to post it. Goodreads.com is also a great place to keep track of the books you’ve read. For example, I made a goal to read 50 books, and Goodreads tells me how on track I am with that goal! I was also going to recommend Goodreads. I use it to catalog books I’ve read as those I hope to read. You must be a fast reader to fit in a Follett + two others in January! I always love a good book suggestion from you! I like this feature!! !